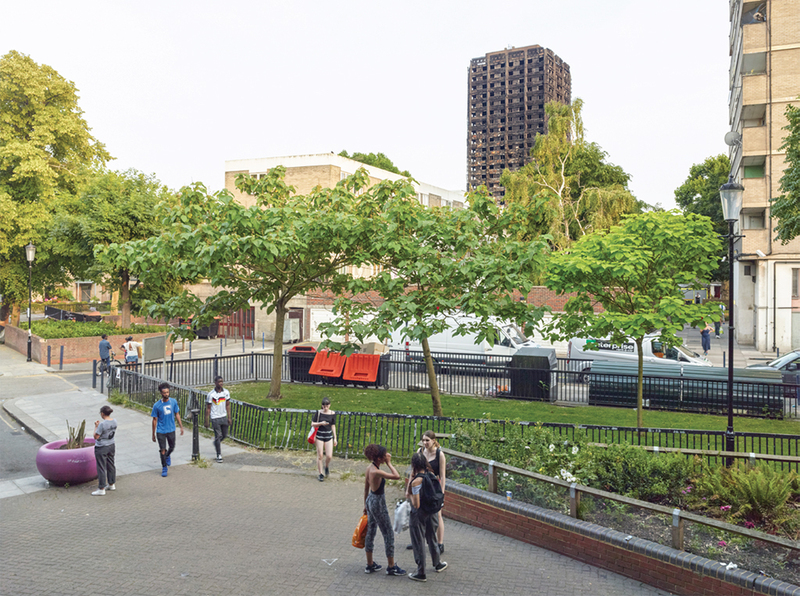 Simon Roberts, Grenfell Tower, North Kensington, London, 19 June 2017, C-print, 48 × 60". 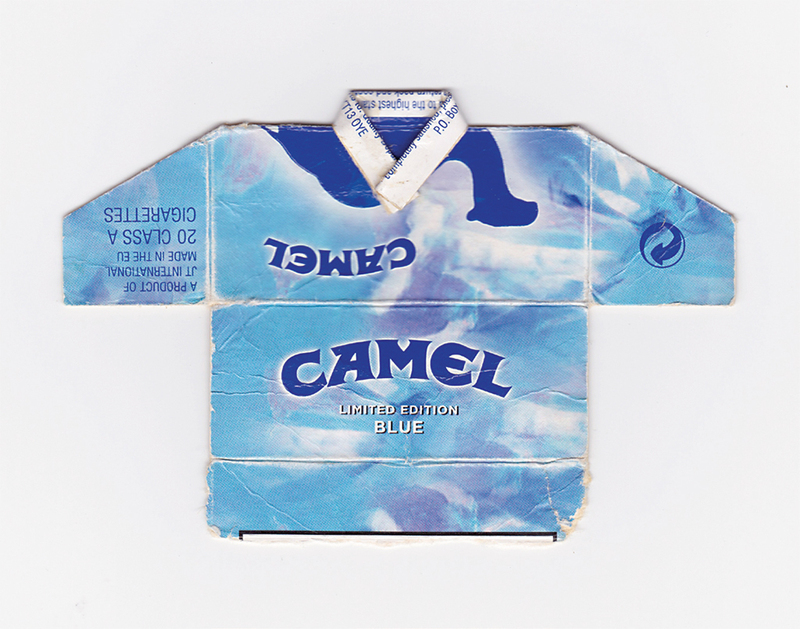 Leo Fitzmaurice, CAMEL LIMITED EDITION BLUE, 2009, cigarette packet, 31⁄2 × 37⁄8". From the series “Post Match,” 1996–2017. Manchester United’s 1995–96 away-game shirt is regularly cited as among the worst-ever Premier League designs. Not only was the mottled gray top hideous, but players complained they could not spot teammates on the field. Down 3–0 at Southampton, the struggling Man U team quickly changed their uniforms at halftime, and their game improved (but they lost anyway). The mud-colored top was never seen again.